A Coin-op Misc. 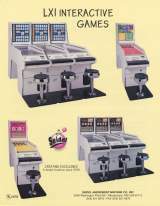 Game by Seidel Amusement Machine, Inc.
Lite-A-Line © 19?? Seidel Amusement Machine Company, Incorporated.